WILLEMSTAD - The Juliana Bridge is completely open again. The traffic in both directions can use the two lanes on each side of the bridge crossing the Saint Anna Bay. The renovation of the south side of the bridge took about two months to complete. That was considerably shorter than phase 1 of the renovation, which was the north side (refinery side) of the bridge. That bridge portion was in bad shape with strong corrosion. Asphalt, signs and guardrails were replaced and new road markings applied. The bridge officially opened on April 30th 1974 and nowadays we can’t imagine a harbor view without the majestic Juliana Bridge towering 56.4 meters above the bay. 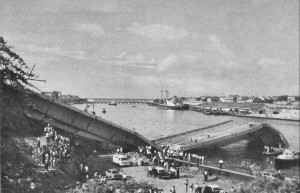 But in November 1967, while building it, the bridge collapsed, shaking all Punda and killing 16 workers. Reconstruction started in 1968. 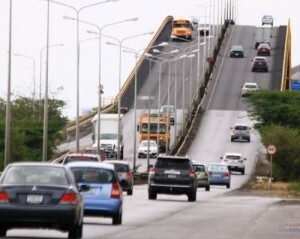 The opening of the Juliana Bridge ended a 65 year tradition of cars waiting in Punda for the Emma Bridge to close.